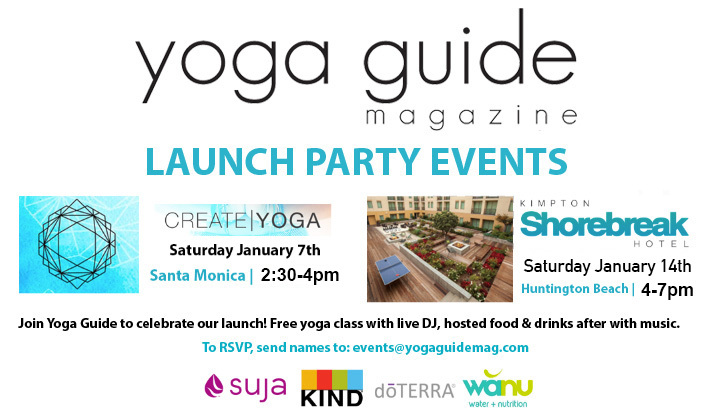 Yoga Guide Magazine is hosting 2 launch parties in SoCal to celebrate the launch of our company and first issue! 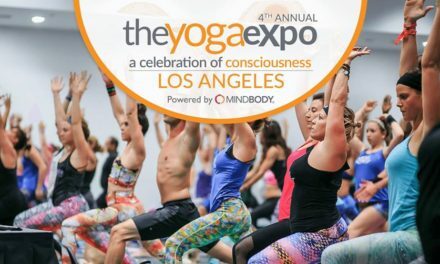 Come join us at Create Yoga in LA on Saturday Jan 7th and at Shorebreak Hotel in Huntington Beach on Saturday January 14th. 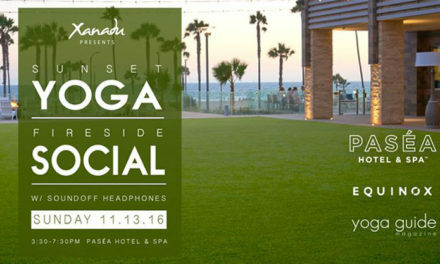 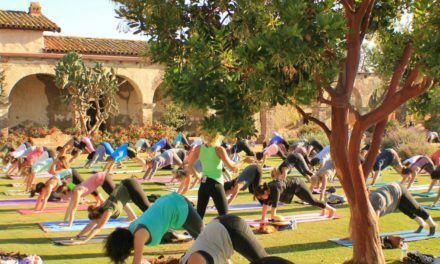 These free events will feature Vinyasa Flow Yoga Classes with live DJ, followed by food and drinks from our sponsors and music. 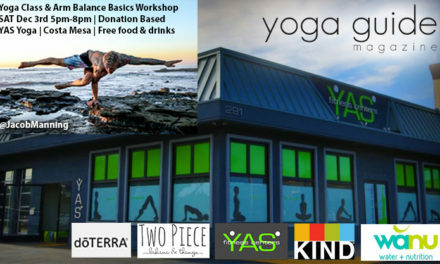 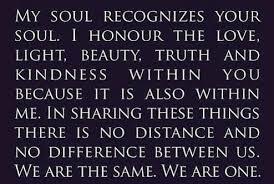 Receive one of the first Yoga Guide Magazine issues and come celebrate with us!